Don’t judge a book by its cover. That is the old saying, and nowhere is that more true than at La Pineta. Located just a few miles from some of the most prestigious wineries in Bolgheri, La Pineta and its charismatic owner Luciano Zazzeri are local legends. The simple, rustic building looks like a clam shack out of a 1950s beach movie. 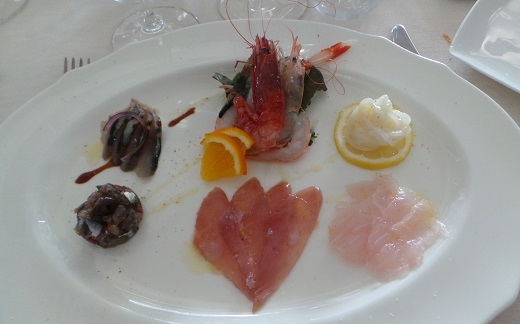 Inside, though, guests will find some of the best fish and seafood in Italy. La Pineta sits right on the Maremma coast. Diners are literally on the ocean, with the waves and sunbathers just a few yards away. The retro Italian beach scene harkens back to a simpler, more innocent time long gone by. Its clear things haven’t changed much here over the years. Fisherman-turned-restaurateur Luciano Zazzeri is a celebrity for the quality of his raw materials, and rightly so, as the seafood served at La Pineta is impeccable. Locals and a faithful crowd of cognoscenti keep La Pineta’s few tables booked pretty much year-round. Reservations are essential. Our crudo antipasto is delicious. Everything is simply pristine. 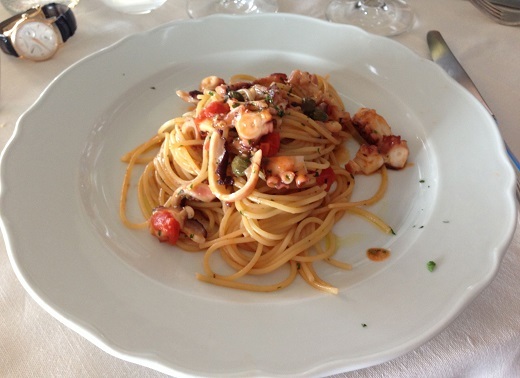 The pastas are offered in half and full portions, but I can’t imagine skimping on the spaghetti with octopus, a La Pineta signature. What a dish! The flavors literally jump off the plate with the exuberance of summer. Our orata, baked in a salt crust, captures the genius of the Italian kitchen. The simplest things are the hardest to do well, and this is where La Pineta truly excels. La Pineta’s wine list is extensive. How the bottles have been stored is another question. Vincent Laval is one of my favorite growers in Champagne. His wines are superb, but very difficult to find, so I never miss an opportunity to drink them. As soon as the cork is popped on a bottle of the 2004 Brut Nature Cumières Premier Cru Les Chênes I know we are in trouble. The wine has no mousse, no complexity, no finish and nothing much to speak of. The trademark focus of Cumières and the 2004 vintage are sadly nowhere to be seen. Next up is Charles Heidsieck’s 1995 Brut Blanc des Millenaires, which sadly fares no better. Where are the trademark citrus, lemon zest, smoke and gunflint notes? Long-gone after who knows how much time of neglect. 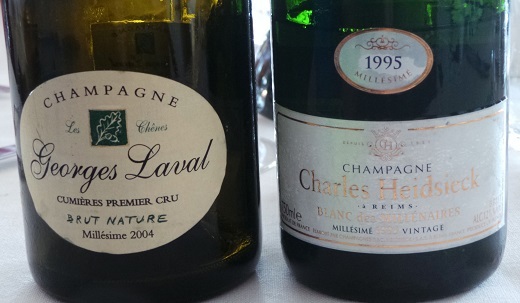 Two off bottles aren’t enough to make a reliable assessment as to the condition of an entire cellar, but it is clear these Champagnes have not been stored properly. My advice? Book a table by one of the large windows. 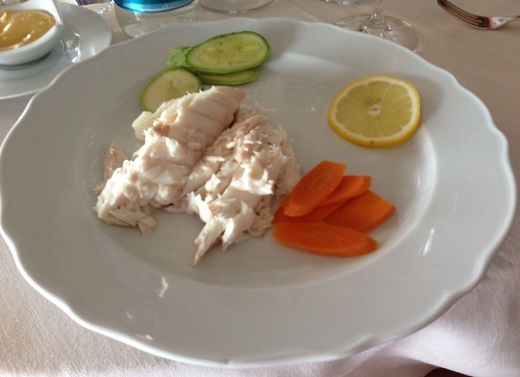 Enjoy the breathtaking ocean view, and indulge in La Pineta’s beautifully prepared seafood and fish, which are among the best anywhere in Italy. Make sure to have at least one of the pastas. As for wine, I suggest ordering the least expensive quaffing white available. Anything else simply isn’t the worth the risk.